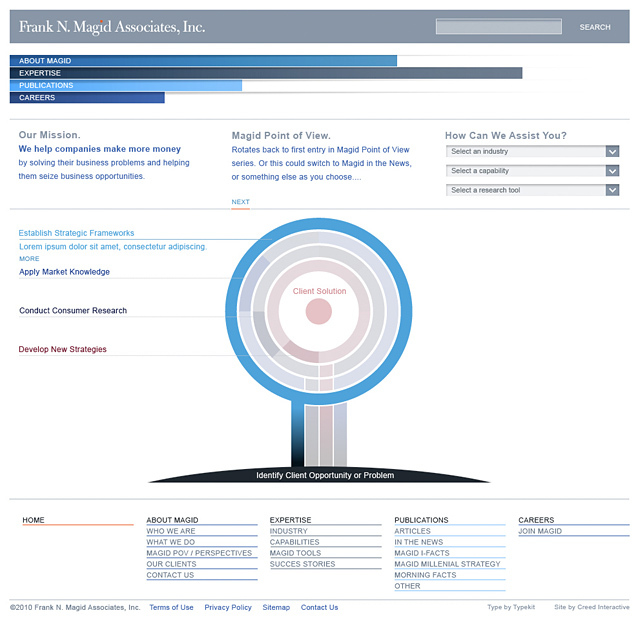 Frank N. Magid Associates - BrainstormOverload - Small design studio. Big ideas. 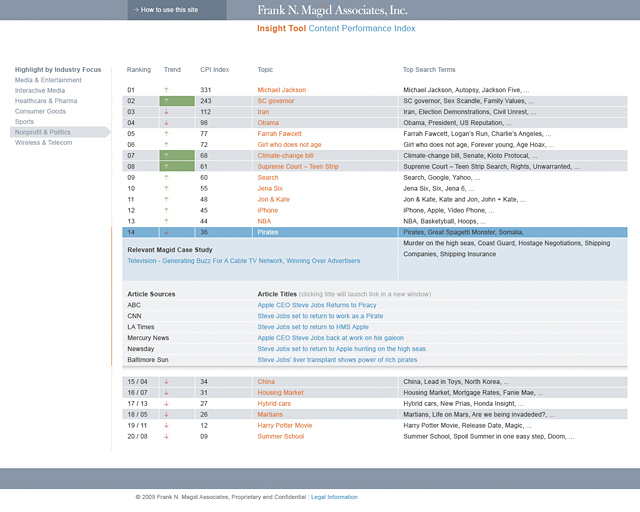 Our design for Frank N. Magid Associates corporate site epitomizes our desire to find the cleanest most intuitive interface we can manage. 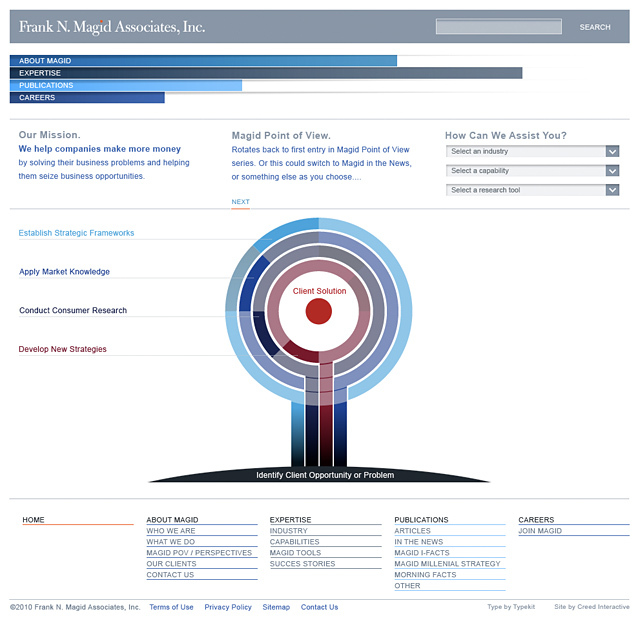 In addition to the large interactive infographic the main navigation itself is designed as a bar graph with the lengths of the bars reflecting the amount of content in each section. Interacting with the central infographic provides a fun, interactive way to gain insight into Magid’s a la carte service offerings while reinforcing their desire to convey the import of engaging in them all for full advantage. 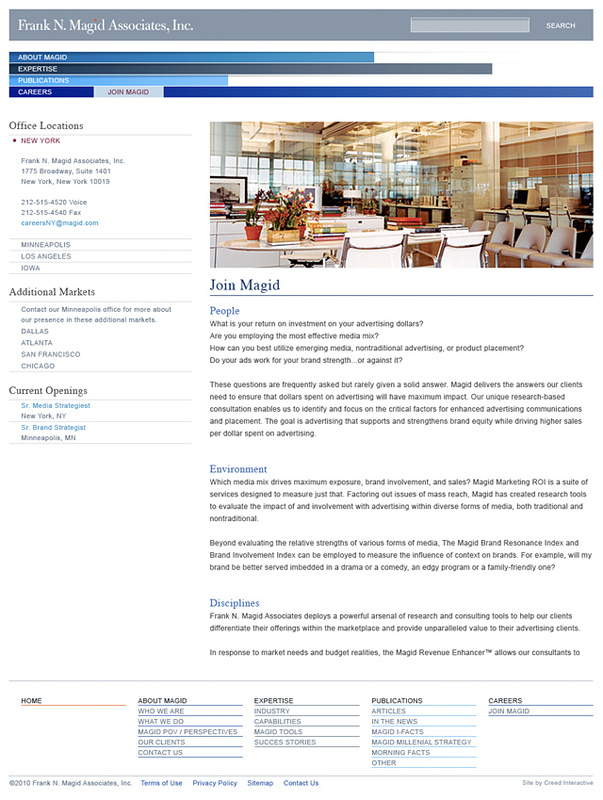 Internal pages continue the clean and confident presentation of content. Where needed tertiary navigation helps the user quickly gain access to the content of most value. 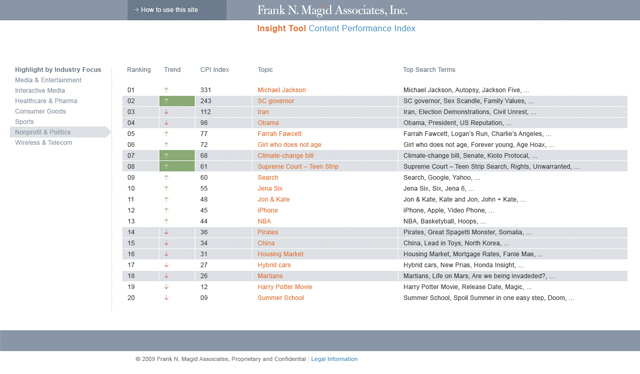 We also designed an interface for a proprietary application that scrapes the web for trending topics and makes recommendations for Magid’s clients. It’s been so successful they had it patented. Top level data can quickly be drilled into for insight into the source of the trend. 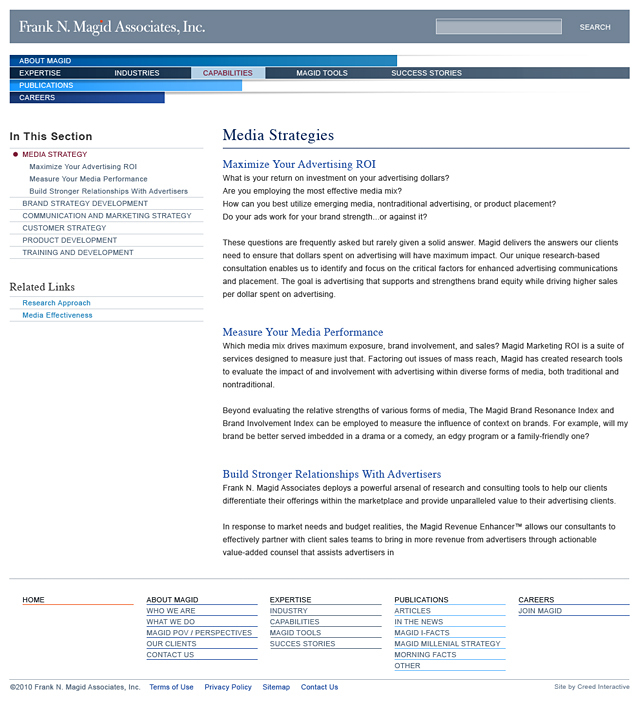 Meet The Press uses Magid’s tool and even featured it on a program so we made a little widget for their website that can be reskinned for other clients.